This is my post on how to make your home smell like a designer dwelling. If you can’t view the full blog click here. You need to be logged into Facebook to be able to watch the video. How Good Does Your Home Smell? Seriously do you even know? Once you get used to your home smell it’s very hard to be subjective. I’m not saying your place stinks (although it may do!) just that it may not be that enticing to visitors. 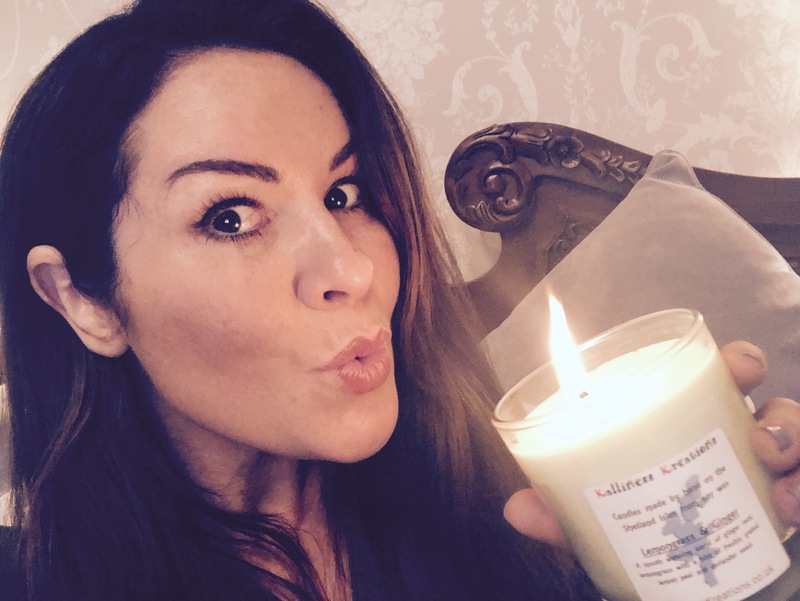 A good habit to get into is to burn a scented candle whenever you have people come just to make sure the first impression of your home is not a pongy one. Have you ever noticed that if you go into expensive shops or hotel lobbies they often also smell expensive. This is a clever way of guiding the senses into associating that place with all things designer. So I was excited to hear about a new range of scented candles, which include smells similar to your favourite perfumes. 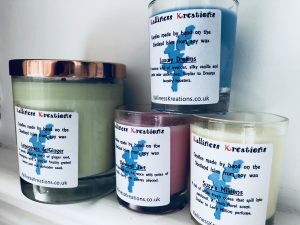 Kalliness Kreations candles are made in the Shetland Islands and are soy based. This is good for a number of reasons, mainly because it means they will be non-toxic, but they will also burn for longer than paraffin versions. 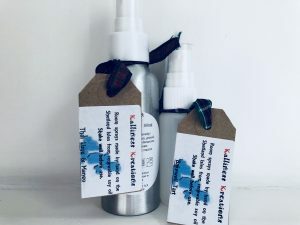 I have a number of different samples and the scents are so strong, you can smell them throughout the house when burning. They do wax melts, room sprays and even car diffusers as well. Some of my favourites were Lemongrass & Ginger and Bakewell Tart. When I talked about this on a Facebook live chat a lot of you were getting excited about the ones that smelt like Love Spell, Alien, Lady Million, Fantasy, Le Male and Boss Orange. The idea of your home smelling like your favourite perfume is just heaven. The scent you choose says so much about your personality, so it’s a great way to out your own personal stamp on your dwelling. 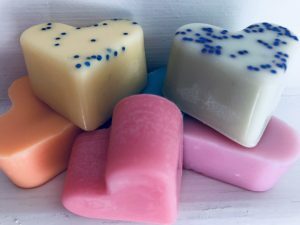 I think the most important factors when reviewing scented candles and wax melts is that they last a decent amount of time, and that they actually do smell (as many don’t when you actually burn them). These ticked both boxes with flying colours! So that’s how to make your home smell like a designer dwelling with your personality coming through at the heart. If you want your home to look as well as smell designer, check out my tips on getting a boutique style. Thanks for a great review Georgina. You certainly made my birthday weekend!